Odd as it may sound, the new Rolls-Royce Phantom is much more than a mere car. It makes no sense to objectively review a car such as the new Rolls-Royce Phantom, certainly not from an Irish market point of view. This is more a celebration of high-end luxury goods and money-no-object extravagance than it is a means of getting from one place to another. Rolls-Royce likes to think that the Phantom has no true rivals in the car world and, having experienced the new, eighth-generation version from the front and back seats, we'd have to agree. The word superlative was coined for this moment. You don't drive a Rolls-Royce Phantom to hide from the public eye. Even if you avoid some of the more lurid and eye-catching two-tone paint finishes and massive 22-inch alloy wheels, it's fair to say that the big saloon grabs attention like little else on the road: it has huge presence. That is, partly, because it's huge. Even the standard wheelbase model is nigh-on 5.7 metres long and its bulk is emphasised by the square-set front end with its bluff wings and larger-than-ever 'plinth' radiator grille. In comparison to its predecessor, though, this has been integrated more with the rest of the bodywork and the bonnet itself is smoother in appearance. The front lights appear relatively small, but they pack latest-generation technology including laser high beam illumination and a subtle LED daytime running lamp graphic. The new back lights echo that approach and they sit in a more sculpted rear end with a little more aggression (not the right word for a Rolls, perhaps, but there you go) to the shape of the rear wings. As before the back doors are hinged from the rear and they swing open elegantly to allow easy access to the spacious cabin. Those rear doors can be closed at the touch of a button from inside the car once you're sat down (God forbid you'd have to reach forward and pull the door closed), or, more likely, the chauffeur will lightly press the exterior door handle button and it will quietly and smoothly close. The interior of the new Phantom is a little cocoon of quietness from the noise of the outside world. It really is astoundingly silent, even on the move. Apparently, Rolls-Royce chauffeurs even have to learn not to rub their hands across the leather rim of the steering wheel as that would be the loudest sound audible. To help with all that, the new Phantom has 130kg extra sound deadening in the car, acoustic glass and special sound-absorbing foam in the tyres. And it's exceedingly comfortable too, front or back. There's plenty of room in the rear, even in the regular wheelbase model, and the seats are massaged, heated or cooled to your liking, plus they adjust more than most. The leather is soft, the carpets are deep and even the foot rest angle is electrically adjustable. Like us, you'd probably expect that most Phantom buyers never venture into its driving seat, but apparently that varies considerably from market to market. In some countries, such as the USA, the Phantom is definitely bought to be driven, so Rolls-Royce had to develop it to fit both roles. It openly claims that it is the quietest car in the world in most conditions and also reckons it's the most comfortable. We wouldn't argue with either of those claims. To help all that along is a brand new aluminium platform that will underpin all future new Rolls-Royce models. It's considerably stiffer than before and a little lighter. To that is bolted larger capacity air suspension than before and adaptive damping with a comfort bias and no adjustment option. There's also rear-wheel steering to make driving in more confined spaces easier and even active roll control to reduce unseemly body lurches through the corners. In short, if the chauffeur knows what they're doing, the rear-seat passengers should barely notice that the Phantom is moving. A creamy smooth new 6.75-litre twin-turbocharged V12 petrol engine helps with that, as it develops its considerable 900Nm of torque at a scarcely believable 1,700rpm. In reality, there's no need to rev it much higher. Not that you can tell what revs it's at anyway, as there's a 'Power Reserve' meter instead of a rev counter. Apparently the engine idles not much over 600rpm and could go lower if it were not for the need for acceptable throttle response from idle. While it's arguably unbecoming to talk about performance in a Rolls-Royce, the Phantom has plenty of it on tap, though it's the effortlessness of its delivery that will truly impress. To drive, it's satisfying and enjoyable in a pretty unique way. The steering wheel is large of diameter and relatively thin in rim size so it feels different from the off, and you can't beat that long view over the bonnet, punctuated by the iconic 'Spirit of Ecstasy' in the middle. You sit upright and quite high, so visibility all-round is good. Next up, the pedals are wonderfully long in travel, making them easy to smoothly modulate. The automatic transmission has eight forward ratios, but you'll struggle to feel it shifting between them in normal driving and swift progress is easy to maintain. It's not what you'd call sporty or dynamic in the corners (it weighs well over two and a half tonnes, after all), but it does remain flat and free from lean and it changes direction quicker than it ever needs to. 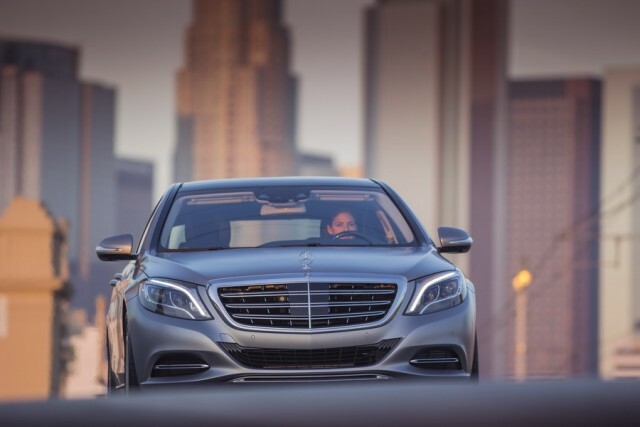 Above all else, it feels like an occasion to travel in - front or back. I know you'll call us insane for giving a car that would cost in excess of €600,000 (as a starting point, remember) here five out of five for value, but the Rolls-Royce Phantom transcends logic. Its buyers don't really see it as a logical purchase and are likely to spend another six-figure sum on personalising the car to their tastes, more if an artist is drafted in to create a unique installation for The Gallery inside. I confidently state that Phantom buyers will think it's worth every cent. And I'd agree with them. Despite the considerable wealth of the sort of buyer the Rolls-Royce Phantom attracts, its purchase is still a big deal to them, as it's something really personal, a luxury item made to the highest quality, of the finest materials, by some of the most skilled engineers and craftspeople in the world. Not only that, but the boundless levels of customisation (including the astounding Gallery feature) ensure that few Phantoms will be alike and they are likely to be kept and cherished forever. Whether the owners then choose to drive or be driven, there's no doubt that they're making a statement everywhere they go. It'll be seen as too ostentatious for our island, but that's ok, as for buyers at this level, the world is their oyster. Aston Martin Rapide vs. Rolls-Royce Phantom: want to make a statement, but actually more interested in driving and feeling the road underneath? 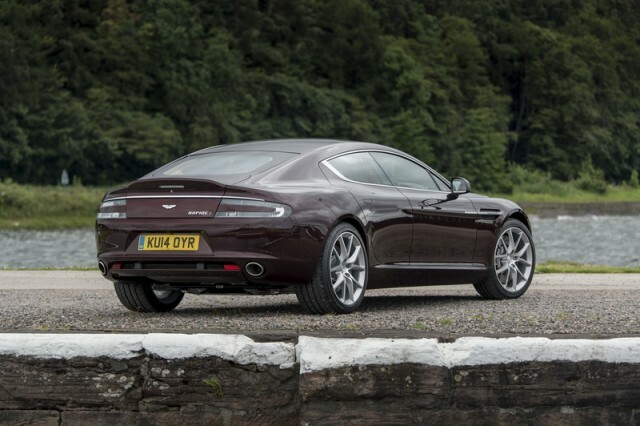 Aston's Rapide makes an interesting case for itself. Most Phantom buyers probably have a few Astons as well. 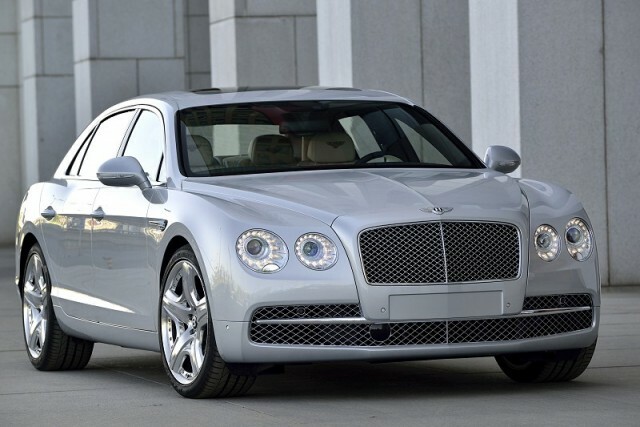 Bentley Flying Spur vs. Rolls-Royce Phantom: a sportier take on the luxury saloon idea than the Rolls-Royce and at a rather different price point too. Sits between the Rapide and the Phantom in remit. Mercedes-Maybach S-Class vs. Rolls-Royce Phantom: technically very impressive and a highly accomplished machine, but the Phantom is in a different league in terms of prestige and presence.